material planning and external-company management. valuable support through special functions of the software. Equipments, assemblies or subassablies can be structured in a hierarchy. The system structure existing in your company can be adopted. due and logged faults are displayed. as an email from this queue with all data required for carrying out the work. work papers. Email functions are available. changes to the data specified in the work paper are entered. to log faults via barcode checklists. Mobile barcodescanner or smartphone apps can be used. You can assign drawings or photos to your equipment, work orders or spare parts. They are printed out for each work schedule to illustrate the orders . reported work orders are saved in a special history file for the following evaluations. all work to the Equipment or machine. immediately be seen and system improvements can be evaluated. for the selected time period. personnel on the basis of graphics and evaluation lists. A special list shows you the system downtimes due to maintenance measures. It is especially suitable for coordination with production. also compile exact cost lists for completed maintenance work. consumption based on a cost prognosis. managed with the material planning and management. needed, etc. In this way, you can effectively shorten system downtimes. spare parts are installed in. right spare parts are always in stock. A digital shift worker notebook is integrated in the software EXPERT-maintenance. The work carried out is monitored via acceptance records. 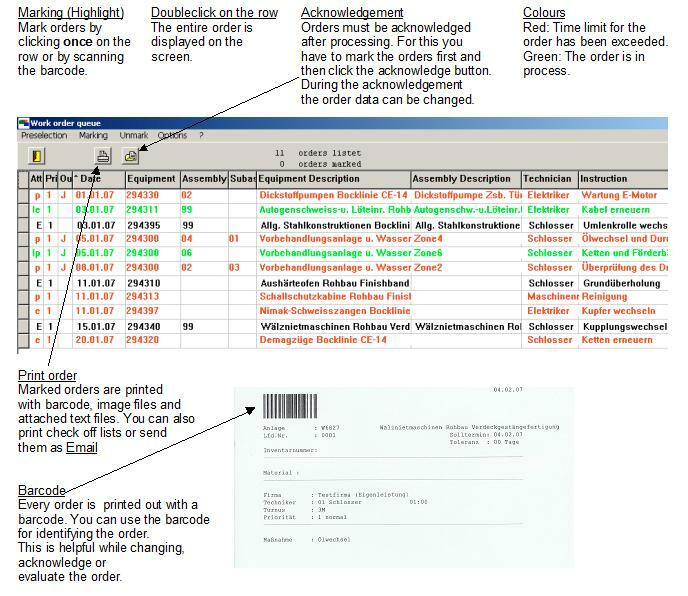 The compiled invoice is checked via an invoice control sheet. companies and in-house service can be realized via selected orders. External companies and in-house services can be managed simultaneously. 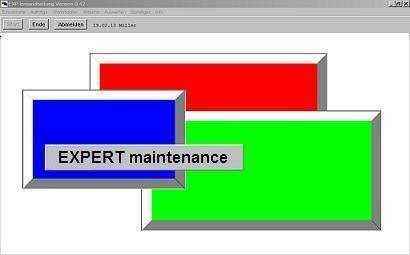 The software EXPERT maintenance has a flexible interface for production planning systems and is especially suitable as a cost-effective and user-friendly substitute for maintenance modules of these systems. In addition, interfaces to all current databases or application programs are possible. The entire maintenance software EXPERT-maintenance has a modular structure. instead the system adjusts to you.